Share your email and we’ll reach out to you. Navigating work permit applications can be a hassle. Let our specialists help you. Employment pass applications can be tricky. Get the right advice from our experienced experts who know what works and what doesn’t. We’ll be transparent about pricing. Our end-to-end fees will cover the entire application process and appeals (if any). You don’t have to make the trip to Singapore. 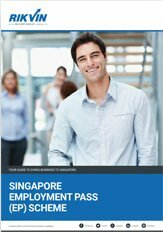 We’ll process your employment pass and dependent’s pass on your behalf. Get your application processed in quick time. We’ll keep you in the loop for any additional info required. Get a deeper insight into the application process, eligibility, requirements, and potential outcomes. This guide helps to ensure you comply with the Ministry of Manpower’s Fair Consideration Principles and maximise the chances of your application getting approved.